An ambitious attorney with aspirations of providing eminent and proficient legal services to all clients, Anthony was born in Dallas, TX and raised in Nashville, TN. 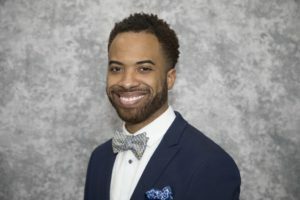 After receiving his bachelors of science in Biology from Middle Tennessee State University, Anthony attended the Cecil C. Humphreys School of Law at the University of Memphis, where he received his law degree. During his time in law school, Anthony gained legal experience by working as a law clerk at Memphis Light Gas and Water and as a student attorney in the school’s Elder Law Clinic. Anthony was also a member of the law school’s Moot Court Board, Mental Health Law & Policy Journal, and Black Law Students Association. After graduating law school and becoming a member of the Tennessee bar, Anthony studied at the University of Aberdeen in Scotland, U.K. where he received his LLM. (Masters of Law) in International Commercial Law. While studying at the University of Aberdeen, Anthony gained extensive knowledge on international commercial arbitration, oil & gas law, and international trade & finance law. Prior to joining Cobb Law Firm, Anthony was a litigation attorney for the State of Tennessee Health Care Finance and Administration. ​He is an active member of the Tennessee Bar Association, American Bar Association, American Public Health Association, and the Chartered Institute of Arbitrators. Anthony is the son of an immigrant father from Nigeria and mother from Fort Worth, TX. Outside of work, he enjoys spending time with family and friends, watching sports (especially his Dallas Cowboys), and engaging in various community service projects and social engagements. Contact us today to schedule your free consultation with Attorney Anthony Adewumi!